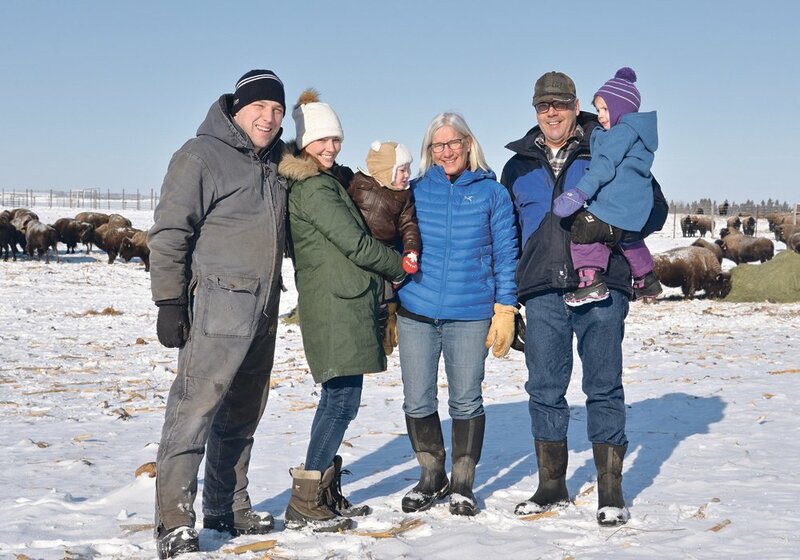 About 20 percent of Alberta’s feedlot industry has installed roller compacted concrete in cattle pens in recent years with the goals of improving profitability, pen condition and animal welfare and reducing costs associated with pen cleaning and maintenance. Results from a three-year study indicate some of those goals can be met. Dr. Steve Hendrick, a veterinarian, researcher and consultant, said roller compacted concrete in feedlot pens reduces incidence of lameness, tends to improve cattle performance, reduces the amount of manure that is removed and has potential for a positive return on investment. The study also found increased runoff from roller compacted concrete pens and higher ammonia levels. Hendrick said much of the data comparing roller compacted concrete pens to traditional clay-based pens showed differences that were not statistically significant, but he saw positive trends that led him to recommend the flooring. 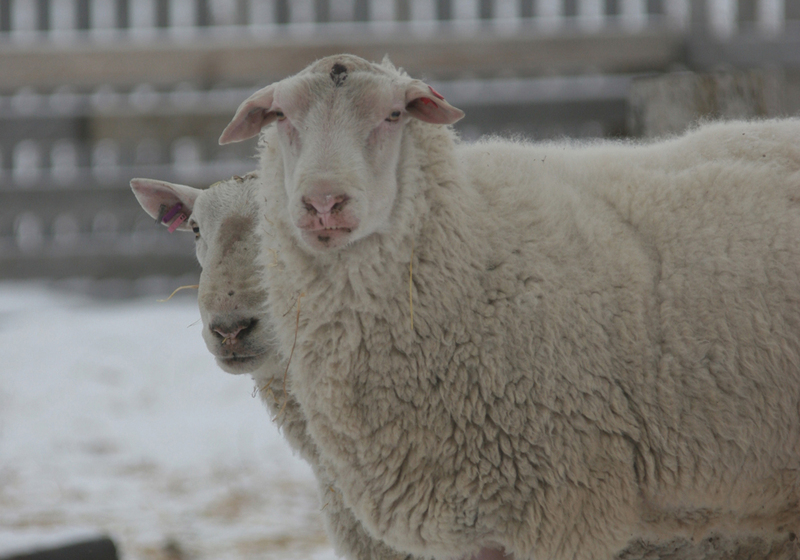 “Looking at the foot health, that is one place that we saw significant improvement — reduction of foot rot and digital dermatitis in the feedlot. So from that standpoint I think it’s sound and I’m confident in those numbers,” he said in an interview after presenting data Jan. 14 at the Manure Update event in Lethbridge. Cody Metheral, agri-environmental extension specialist with Alberta Agriculture, said roller compacted concrete was initially installed to address pen floor deterioration in high-moisture years. 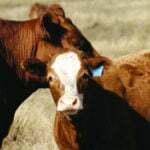 The breakdown of the clay base in feedlots due to high moisture and hoof action contributes to reduced cattle performance and higher operational costs. 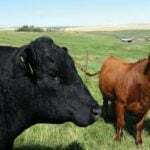 “Finding a solution where cattle can move … without travelling through deep manure was the goal,” he said. Other benefits can also be realized, according to the data. Hendrick’s study indicated a slight trend for cattle in the roller compacted concrete pen to be heavier at finish and to have slightly better average daily gains than those in clay-based pens. As well, the study found a .016 cents per pound of gain difference, favouring reduced costs for cattle in roller compacted concrete pens. Hendrick said that difference is not statistically significant, but it was a consistent tendency throughout the trial. 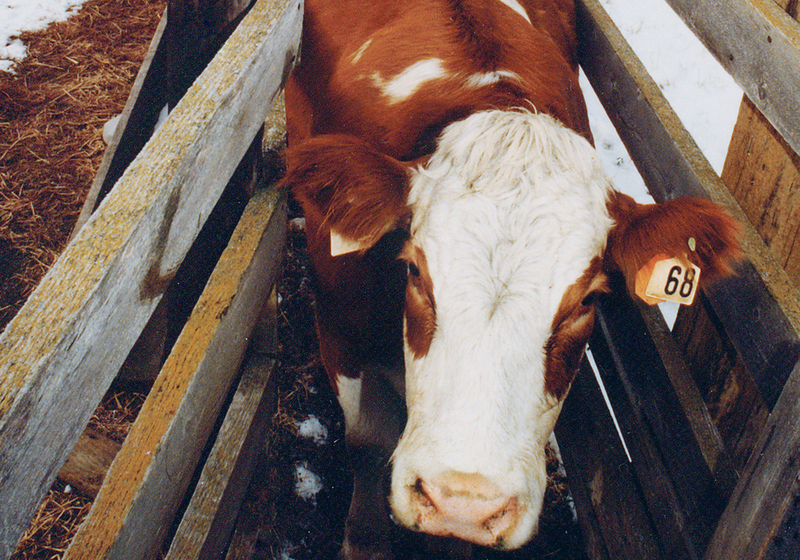 Cattle in roller compacted concrete pens had less tag than their counterparts and mud depth tended to be lower, although Hendrick said the latter is a subjective judgment. 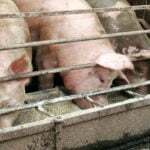 No differences were seen in daily feed intake, mortality or in the general movement of the animals in the two different types of pen floors. Roller compacted concrete isn’t cheap. Hendrick’s figures indicate an estimated cost of $2 to $3 per sq. foot for installation compared to $6 to $7 per cubic metre for clay-based pens. However, roller compacted concrete pens had no maintenance costs during the three years that the study data was collected. Clay pens had maintenance costs estimated at $2,500 to $3,200 per year. 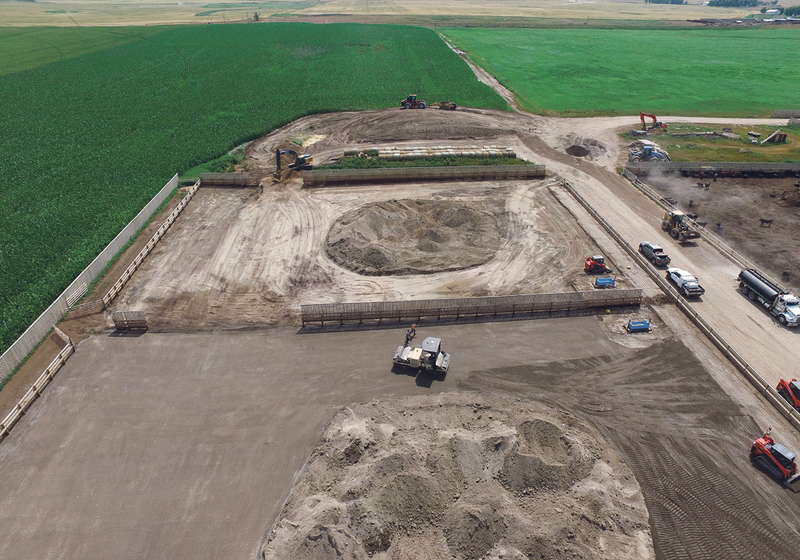 Hendrick’s study is the largest of its kind in evaluating roller compacted concrete for feedlot use. 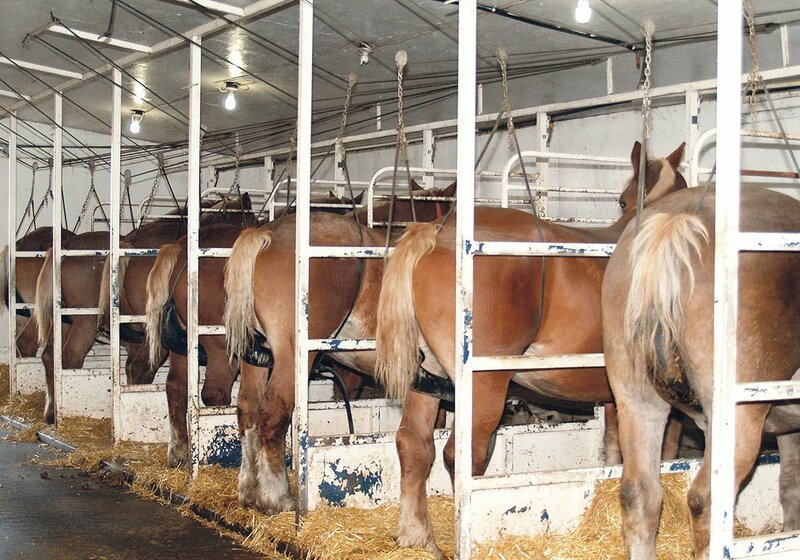 It involved 21 groups of cattle, about 5,500 heifers in total, sorted into roller compacted concrete and clay-based pens with about 250 head per pen. Average entry weight was 850 lb. About 85 percent of the pen area had the roller compacted concrete base with a clay mound in the middle. All pens in the study had the same square footage. Cattle in the roller compacted concrete pens were about 20 lb. heavier at finish, but some were kept three days longer on feed, which alters the scenario, said Hendrick. 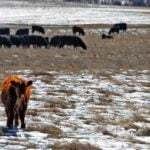 The study also measured runoff, seepage, manure amount and composition and estimated emissions. Roller compacted concrete pens had more runoff, and it contained more solids. Nutrients in the runoff contained more total nitrogen than that from clay pens, making it more valuable as fertilizer. Almost 20 percent more manure was hauled from clay pens than from roller compacted concrete pens, due to clay being removed along with manure, said Hendrick. Ammonia and greenhouse gas emissions were measured from July to September in one study year. Clay pens emitted less ammonia and more methane nitrous oxide and carbon dioxide than roller compacted concrete pens for reasons unknown. 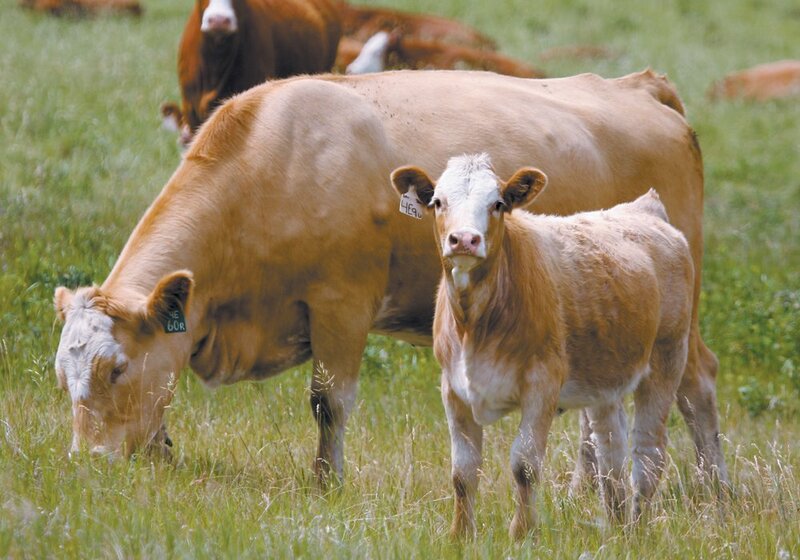 Feedlot operators said they were more comfortable sourcing cattle in spring, when moisture levels can be highest, if roller compacted concrete was installed.